Chris Bolek will take home the final trophy of the Caribbean Poker Party after coming out on top in the $1,100 Finale. American pro Bolek defeated Dylan Lask heads-up to win the $180,000 top prize. Bolek's victory came after he refused to make any sort of deal with his opponents. His confidence paid off hansomely, and Lask was forced to settle for $109,250 for his runner-up finish. Bolek has over $2 million in career earnings with multiple victories to his name and this results will only add to his impressive poker CV. There were 216 players returning for Day 2 and only 113 of them would make the money. Ryan Riess was eliminated just prior to the money and Mihail Zamiga was the official bubble boy. With each table being six handed, the eliminations were fast and furious throughout much of the day. Some familiar names to make it into the money include Kenny Hallaert, Martin Jacobson, Griffin Benger, Mike Sexton, Fedor Holz, Jeremy Ausmus, and David Peters. Once the pay jumps started to become more significant, the action slowed down and especially on the final table. 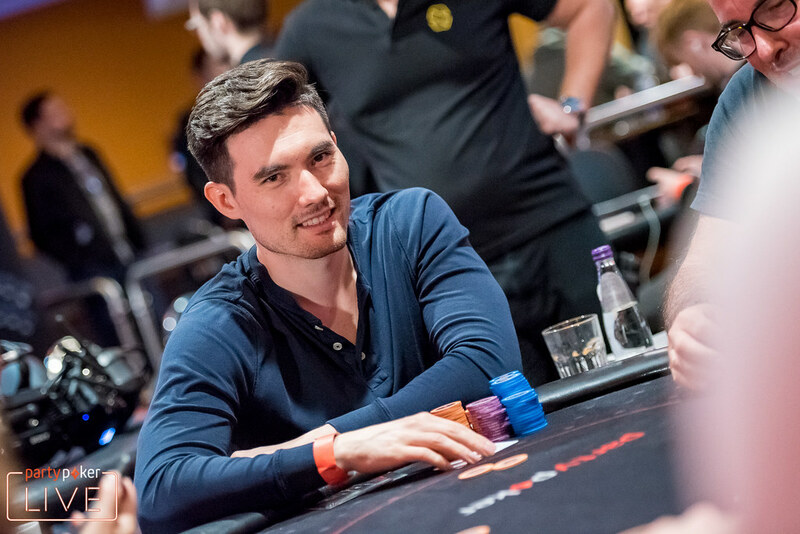 Rainer Kempe was eliminated in eighth place, just missing out on the final table. Aymon Hata was the biggest name of the final six players and some would have considered him the favorite, but he bowed out in fifth place. Four-handed play also continued for multiple levels before Alexandr Merzhvinskiy headed to the rail in fourth place. The final three players looked at the numbers and tried to come up with a deal, but nobody was willing to cooperate. Richard Alati took a chance with king-ten suited but Lask picked up pocket threes and held on to win the flip. The heads-up battle went on for about an hour before Chris Bolek laid two heavy punches with ten-high straights. The final blow left Lask with less than a small blind and the match ended on the very next hand. 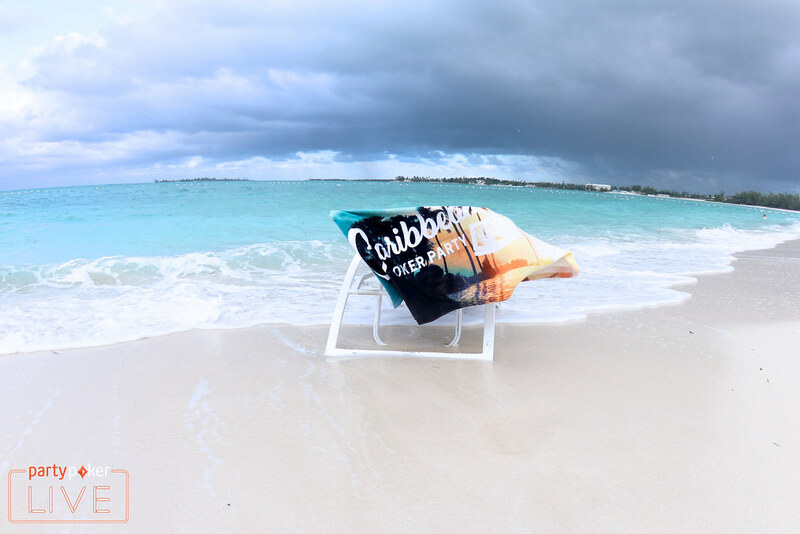 On Friday, the first mixed game event of the partypoker 2018 Caribbean Poker Party concluded and it was the $1,650 H.O.R.S.E. that attracted 22 players to the felt. 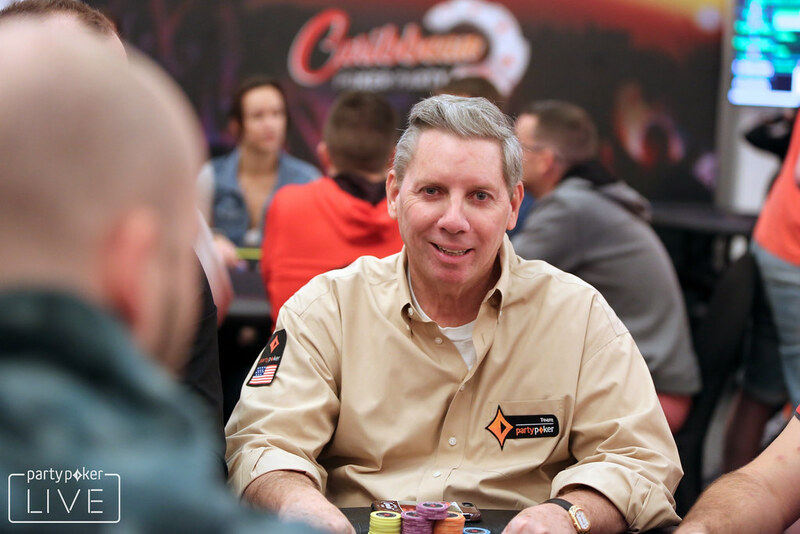 After a long heads-up battle, Joey Couden came out victorious to claim the title and the $13,500 first-place prize, conquering a true legend of the game: none other than partypoker Chairman Mike Sexton. After the two got by Joe Brindle (fourth) and another old-school legend in Bruno Fitoussi (third) in the money, Couden and Sexton butted heads for a couple of hours. Couden, who came into the final table with half of the chips in play, still held a decent lead when they started. However, Sexton was able to battle back and took the lead himself. The match was anything but an ordeal, though, as the two bought rounds of drinks for each other and joked about how much they were each stuck on the trip and how the $13,500 wasn't going to put a dent in it. Sexton even regaled Couden and fellow partypoker brass Marcel Luske — he also made the final table — with some of his trademark stories. Eventually, Couden retook the lead and then put quite a beat on the old-timer. In Omaha hi-lo, Sexton flopped aces up with the nut flush draw and Couden check-called a bet with nothing but backdoors and made a six-high straight, leading into Sexton on the turn and river. Sexton couldn't believe it but was forced to concede the match a short time later, giving the trophy to Couden. Couden has done quite well for himself in the non-NLHE events at the WSOP in recent years, including nabbing a bracelet in pot-limit Omaha hi-lo this past summer. Chalk up another trophy for the Ohio native, and topping a legend heads up had to be the icing on the cake. Elsewhere on the final day of the CPP, Ukraine's Mariia Ievseieva took down the Pot Limit Omaha tournament for $25,000, which more than doubled her total live tournament earnings.